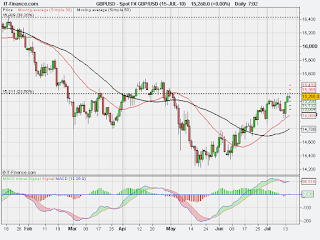 This is the 1year Daily Chart for GBP/USD The market approached the 23.60% Fibonacci retracement and pulled back. The MAs have crossed and the market is on the way back up. 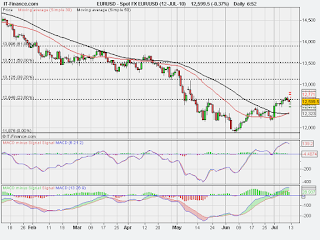 A pending BUY swing trade order has been placed at the 23.60% Fibonacci retracement at 15311. 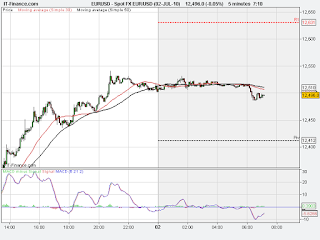 This is the 2Day 5Min Chart for EUR/USD The market is currently trending below the 1st Support, S1. A pending BUY order has been placed just above S1 at 12594. This is the 1year Daily Chart for GBP/USD The market got close to the 23.60% fibonacci retracement and is now pulling back. A pending BUY swing trade order has been placed at 15311 at the 23.60% Fibonacci retracement. This is the 1year Daily Chart for EUR/USD The market has broken the 23.6% Fibonacci retracement and pulled back below it. The MA30 has crossed above the MA50. 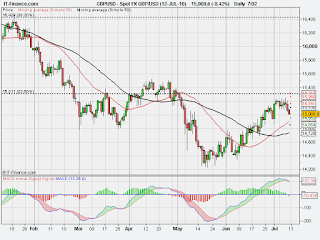 This is a good setup to BUY (Swing Trade) at 12648 (23.60% Fibonacci retracement). The GBP Bank of England Interest Rate decision is due out at 12midday and the EUR European Central Bank Rate decision is due out at 12.45pm. Trade with caution prior to these reports coming out. Today is the 1st friday of the month, Non-Farm Payrolls day!!! The USD change in Non-Farm Payrolls / Unemployment Rate report is announced on the 1st Friday of every month at 1.30pm. This report is of HUGE significance and affects ALL markets!! It is advisable to wait till after the report at 1.30pm before you start trading. See charts below. This is the 2day 5Min Chart for GBP/USDThere was a HUGE move in the market yesterday and a report of HIGH importance is due out at 1.30pm.Due to these factors, the market is currently trending sideways and it is advisable to wait till after the report at 1.30pm before trading. This is the 2day 5Min Chart for EUR/USDThere was a HUGE move in the market yesterday and a report of HIGH importance is due out at 1.30pm.Due to these factors, the market is currently trending sideways and it is advisable to wait till after the report at 1.30pm before trading.